In the years gone by, round columns were expensive and difficult to make using traditional methods. Today, using modern manufacturing techniques and materials, Elite Round Paint Grade Columns come in a variety of heights and diameters to fit any decor in your home. 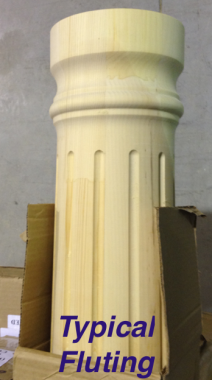 They also come in both Smooth or Fluted designs which allow you to choose between a simple and modern or ornate column. 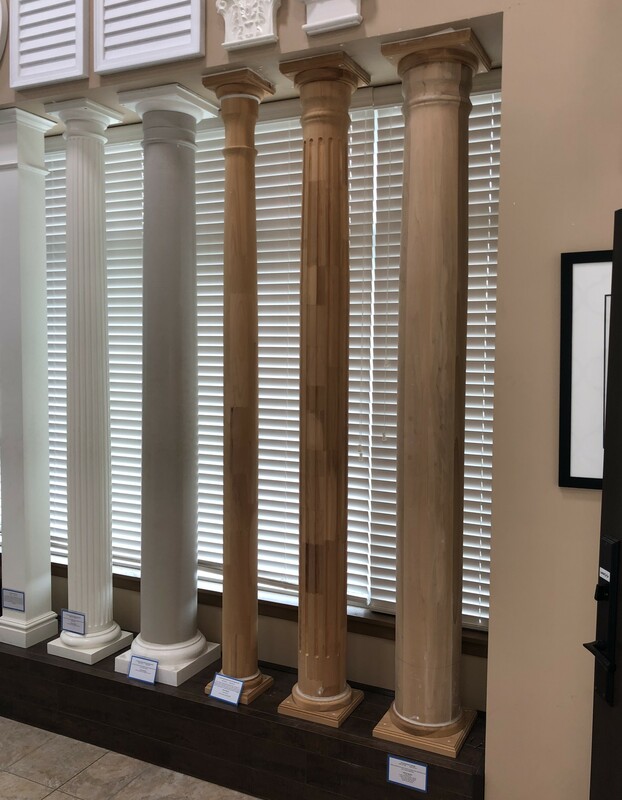 These architectural columns come in sizes varying from 6" to 10" wide and up to 10 ft high. Our Paint Grade Columns are made of Finger Jointed Pine which consists of smaller pieces of pine that are held together using an industrial strength epoxy. One feature that you will be impressed by is the smooth finish of the columns. They are manufactured using extremely sharp knives and sanded thoroughly before they leave the manufacturing facility. These columns can be used as a decorative accent in a home or as a Structural Support; however, they lose their load bearing capabilities once they are vertically cut in order to wrap around a Round Steel Support Post. The Paint Grade Columns come in three separate parts, the base, column shaft and capital. These three components make up the overall height of the column. When ordering a column, please make sure you order the next full size up from your measured opening (why?). The columns are very easy to cut to size using a hand or chop saw. Always remember to account for the cap and base adding height to the column before cutting to size. 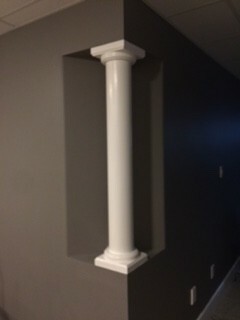 These columns are un-primed and require a coat of primer and paint after installation. Shipping times vary depending on the size and type of columns; please contact us or see our Shipping Specials . Wood columns are best suited for interior installations, for outdoor installations please refer to our Exterior Columns. Note: All Column shafts can easily be cut down to size on site. Round, Smooth, Wood, Non-Tapered Column 6"
Round, Smooth, Wood, Non-Tapered Column 8"
Round, Smooth, Wood, Non-Tapered Column 10"
Round, Smooth, Wood, Non-Tapered Column 12"